Between February 2013 and June 2014 Maria Efimova worked in a Russian-owned perfumery in Cyprus. 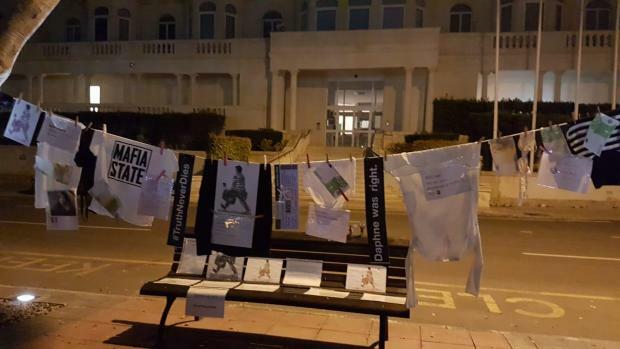 On 28 November 2017 the Cyprus police authorities issued a warrant for the arrest of Maria Efimova on allegations made by her former employer she had done something wrong while in his employment four years earlier. During those four years, Maria Efimova had moved to Malta, passed the notoriously tough due diligence evaluations of Pilatus Bank (there’s some irony there, but not much), was employed by that bank, fired by it, she chased the bank for her unpaid salary, she was chased by the bank for money they said she stole, she ran away from the country pursued by a lynch mob led by a rabid prime minister who said she worked for Vladimir Putin, the journalist she spoke to about the bank she worked at was killed and an arrest warrant for her was issued by the Maltese authorities. Of course we are supposed to believe that all that happened after June 2014 had nothing to do with the Cyprus police’s action in November 2017. In January 2018 the Council of Europe noted an alert issued by NGOs protecting whistle-blowers asking for the protection of Maria Efimova. Yesterday, in November, the Cyprus police replied to that alert assuring everyone their pursuit of Maria Efimova is unconnected with Pilatus Bank and her time in Malta. What happened in between those dates? Her former boss at Pilatus Bank was arrested, indicted and bailed awaiting trial in the United States accused of 6 counts of bank fraud and related charges, Malta’s request for her extradition was denied by the Greek courts and the denial was confirmed on appeal, and the bank she spoke about to a journalist that was killed was shut down by the European Central Bank. It was shut down just yesterday. Thanks to her courage, determination, voluntary testimony, the huge risks she took and the consequences she has already had to face, Europe has been saved the further embarrassment and harm that Pilatus Bank was causing it. As a result of Pilatus Bank’s closure yesterday several millions belonging to Ilham Aliyev’s family are trapped in Malta and it is hard to imagine how they can ever be returned to them. There’s someone very angry in Baku today. And in Cyprus the police, who seems to only be bothered about taking action in Novembers, revive Maria Efimova’s dusty file with a town retailer’s complaint. 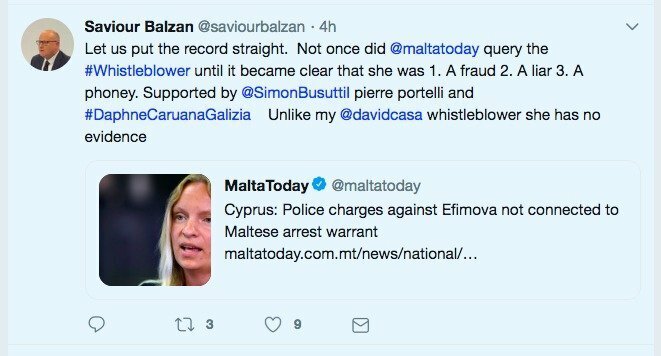 Sure enough Saviour Balzan’s Malta Today brands her a liar. The day after the truth she told caused her boss’s bank’s forced closure. Clearly it is not just the Cyprus police that can get their strings pulled on depressing days of a November.